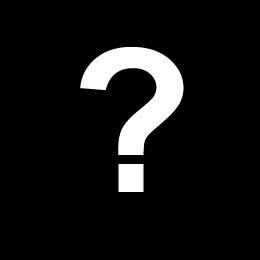 On June 12th, 2014, Matthew Good began posting demos off of a new album. One of the demos was tagged with an album name of "Chaotic Neutral." Other possible names for this album included: "The Unfortunate Future" and "Flooring In Mono." Good also stated that he has yet to release a self titled album and doing so is an option for this upcoming release. 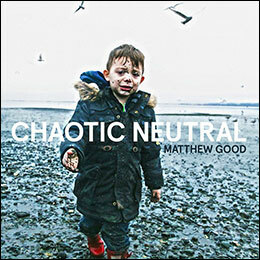 This album is Matthew Good's eleventh full length studio album and his first album released with Warner Music Canada. It was previously posted on Amazon and HMV, but unconfirmed, that the album would be released on May 15th, 2015 but with the album tentatively set to record in March 2015, the release date was not set in stone. The album came out September 25th, 2015 and the first single, "All You Sons and Daughters," was released on July 17th, 2015. A video for the first single was released on August 24th, 2015. Available as vinyl at Amazon.ca and Amazon.com . June 12th, 2014 - "Refusing to Leave Space Camp" was demoed on Matthew Good's blog. The song was released without any vocals. June 27th, 2014 - "Night Orders" was demoed on Matthew Good's blog. It was the first demo of 2014 to feature vocals. September 25th, 2014 - "Something like a Storm" was demoed on Matthew Good's blog. The instrumental piece had a playtime of 21 minutes and 44 seconds. October 20th, 2014 - Matthew Good deletes all the tracks he recorded for the album and starts over. November 14th, 2014 - "Tiger By The Tail" and "We Have Done This Before, We Will Do It Again" are demoed on Matthew Good's blog. November 17th, 2014 - "Moment" is demoed on Matthew Good's blog. December 4th, 2014 - A second take on "We Have Done This Before, We Will Do It Again" is released on Matthew's blog. December 6th, 2014 - Matthew demos "Los Alamos" on his blog. December 11th, 2014 - "Cold Water" is demoed on Matthew's blog. January 12th, 2015 - Recording tentatively set for March. "All You Sons And Daughters" is demoed on Matthew's blog. January 18th, 2015 - "Harridan" is demoed on Matthew's blog. It is a song in progress. January 22nd, 2015 - Matthew posts the completed version of "Harridan" and explains that he has been staying up til 4AM writing and recording. February 19th, 2015 - The completed version of "Girls in Black" is posted. March 2nd, 2015 - Matthew posts "Kids Down The Well" on his blog. March 10th, 2015 - Matthew briefly posts "No Liars" on his blog but removes it and states that he wants to re-work the song. April 1st, 2015 - "Army of Lions" debuts on Matthew's blog. July 16, 2015 - "All You Sons And Daughters" is streamed on Matthew's blog and is confirmed to be the first single off of "Chaotic Neutral." Stills from the music video are released that feature a wolf. August 24, 2015 - An official music video is released for "All You Sons And Daughters." Also available on Amazon UK.